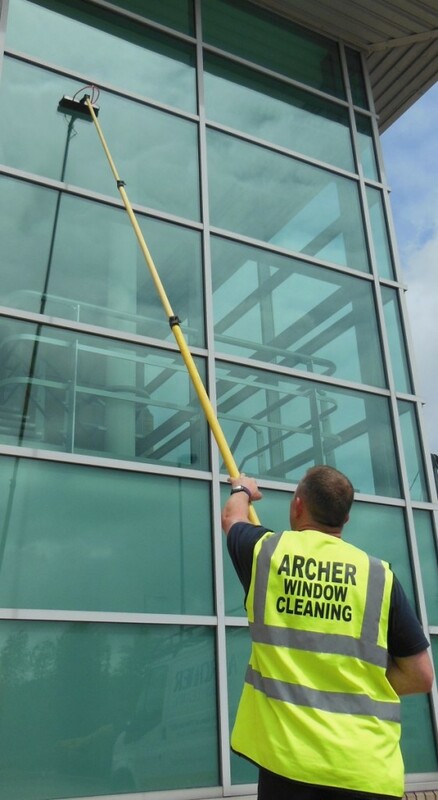 We specialise in providing commercial window cleaning services to offices, property & facility management services, local authority, retail outlets, hospitals, and schools. 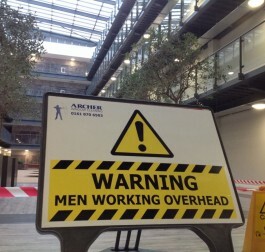 Archer window cleaning services use the “Hot water” ladderless Reach & Wash Waterfed pole system to fully comply with the working at height directive (WAHD). Our operatives are fully trained & qualified in the use of MEWPS to carry out the task of cleaning your windows, gutters and high level cleaning. Abseiling/rope access is an essential and integral part of our company, enabling us to access the most difficult to reach areas, safely. 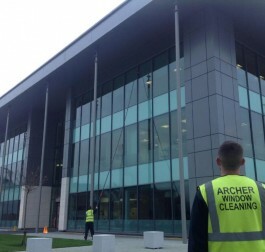 Archer Window Cleaning Services operate in Manchester, and provides window cleaning and high-level cleaning to managed apartment blocks working closely with facility management companies and property management companies. 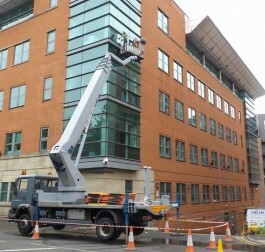 Being one of the best window cleaners in Manchester, we have retained these exterior window cleaning contracts for over 25 years due to our very high standards & communication skills with the client. 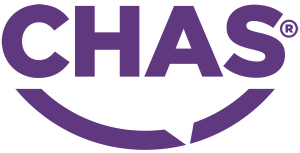 We will work with you to assess your requirements, developing a strategic plan to implement the action points in a controlled, safe and cost effective manner. All our staff members are fully trained and qualified by The British Window Cleaning Academy. 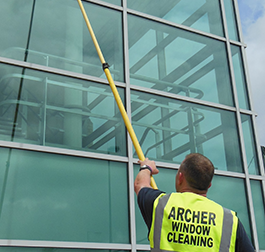 I have worked with Archer Window Cleaning Services now for over 5 years and I can hand on my heart say they are a pleasure to work with, as I appreciate their personable, honest approach to business. The standard of work is excellent and without complaints, however if there ever are any issues, they are always dealt with in an polite and efficient manor. I would highly recommend Archer Window Cleaning, as they are happy to go above and beyond for their customers.